Organizing a bachelorette party is a huge honor, but it can also be a lot of work. If it’s your turn to organize the big night for your best friend and bride-to-be, skip the clichés. It’s not about getting everyone blackout—but rather about bringing people together, making some memories, and marking a major transition in your friend’s life. 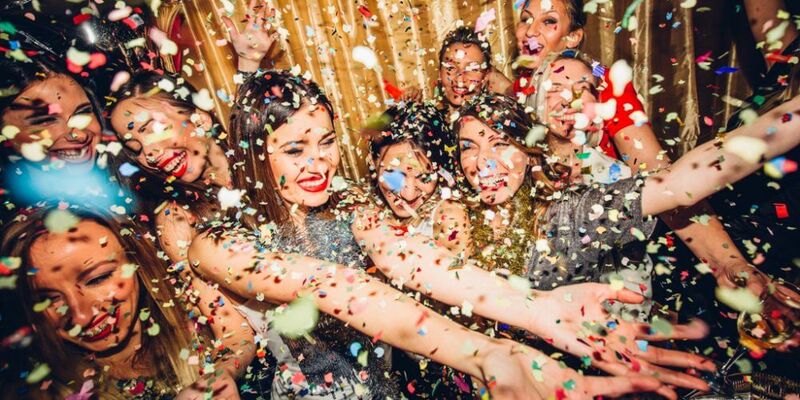 Check out these unique ways you can have a bachelorette party in Toronto! Rather get behind the bar instead? Book a private cocktail making party with BareBones Bartending. Founded by two Toronto bartenders, this trendy bartending school offers a variety of private, customizable cocktail making events that can be suited specifically to your party. Host it at home or use their space at Queen and Roncesvalles. Feel like hitting the high seas? You can with Gone Sailing at Toronto’s harborfront. Enjoy a three-hour bachelorette sail with phenomenal views of the Toronto skyline while sipping on signature cocktails and enjoying gourmet hors d’oeuvres. If you want to do something super outside the box, check out aerial silks in Toronto’s Port Lands. The Circus Fix is a big and bright circus school that offers aerial classes specifically for bachelorette parties. Go one better than the tried-and-true pole dancing class and learn how to be graceful while suspended from two brightly colored silks. Cruise Toronto’s best late-night cocktail bars in style. Forget about planning a pub crawl of your own and join Toronto Food Tours on their awesome drink tour: VIP Late Night Cocktails and Secret Bars. This one doesn’t come cheap, but it’s an experience you’ll never forget. There’s a reason pole dancing bachelorette parties are super popular in Toronto. Check out Brass Vixens, where you can shake what your mama gave you—and also shimmy it up a pole. Brass Vixens’s fun-loving instructors can tailor a party to your needs, from pole dancing to burlesque, chair dancing, and more. Parties available in their downtown, Queen West, and Mississauga locations. If the bride-to-be loves escape rooms, this is your chance to give her an experience she’ll never forget. Check out Escape Casa Loma, Toronto’s fanciest escape room. Set in Toronto’s infamous turn-of-the-century mansion, these escape games take you deep into dark chapters of Toronto’s history, from Prohibition to World War II and beyond. Looking to make bad art and good memories? This adorable art studio in Riverdale is for you. Book a private party where you and your girls will be led step-by-step in the creation of a featured work of art. Paint Cabin is a fully licensed café bar, so you all can get into the sauce, just like real artists. If you want to take the edge off after a night on the town, check out this curated brunch tour of King and Queen West. Treat your friend to the ultimate Toronto brunch experience with stops for Toronto’s best chocolate chip cookie, culture-bending fusion brunch, and the best butter croissant on this side of the Atlantic. What better way to mark a milestone than with Bey? The Underground Dance Centre at Richmond and Spadina offers a steady stream of Beyography classes—join a regularly scheduled Beginner Beyonce Class or get in touch about creating a private event just for you and your friends and shake it like a single lady one last time. Who’s to say who pushed the bride in? Chill out with the ultimate Toronto treat: a SUP yoga class on Toronto Island. These classes take place in the Island’s Sunfish Cut, a popular lookout point with a spectacular view. You’ll be able to feel all your wedding-related worries washing away. Does the bride fancy blowing off some steam before settling down into marital bliss? BATL Toronto West is for you. This axe throwing arena in Toronto’s Junction neighbourhood offers sweet axe throwing events for groups of six and up—and this location has a full bar and kitchen so you can make it a real party. Paint Lounge has a couple locations across the GTA. These cute studios are perfect for bachelorette painting parties. You can either reserve the entire studio for your event or join a regularly scheduled art class. Best of all? Check out the bachelorette add-ons at the downtown locations and secure your own male life drawing model for the event. Just note, you’re welcome to BYOB but you’ll need to secure a special occasion permit. Looking for other great experiences in Toronto?